Normally when you think of pancakes or crumpets (the South African version of American ‘pancakes’, which are different from French ‘crêpes’ and also different from English ’crumpets’ – I know, it’s very confusing! 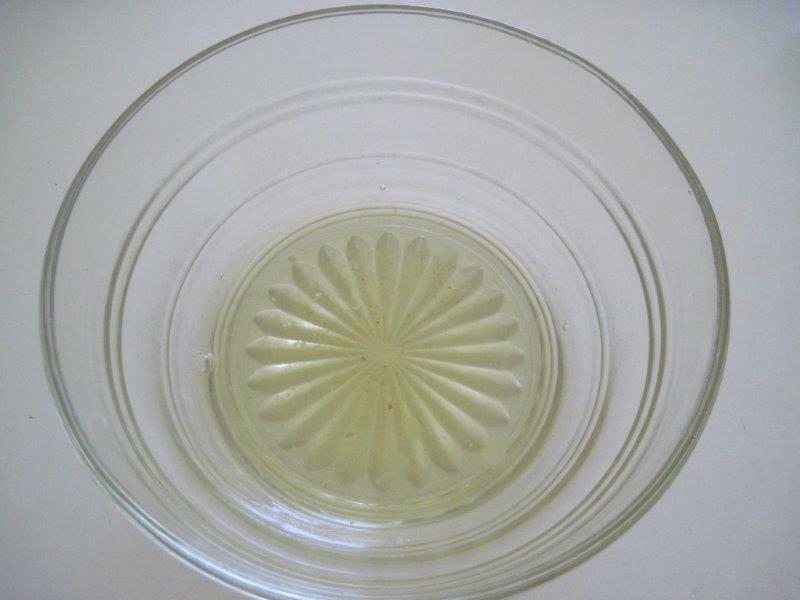 ), it tends to bring up images of a tea-time treat that’s a bit starchy and usually served with jam and cream. And those are certainly delicious, no doubt about it. 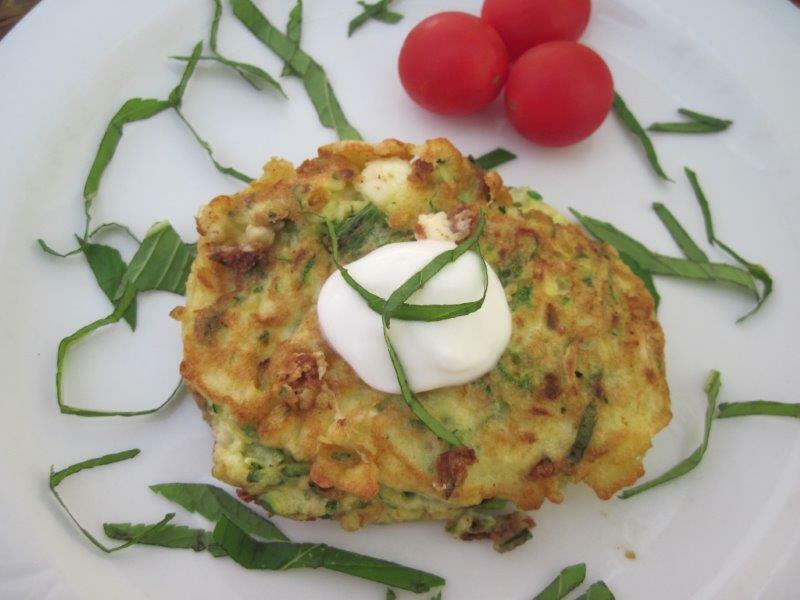 These crumpets are completely different though, more like very light fritters – savoury and fluffy, and a different and interesting way to prepare vegetables. 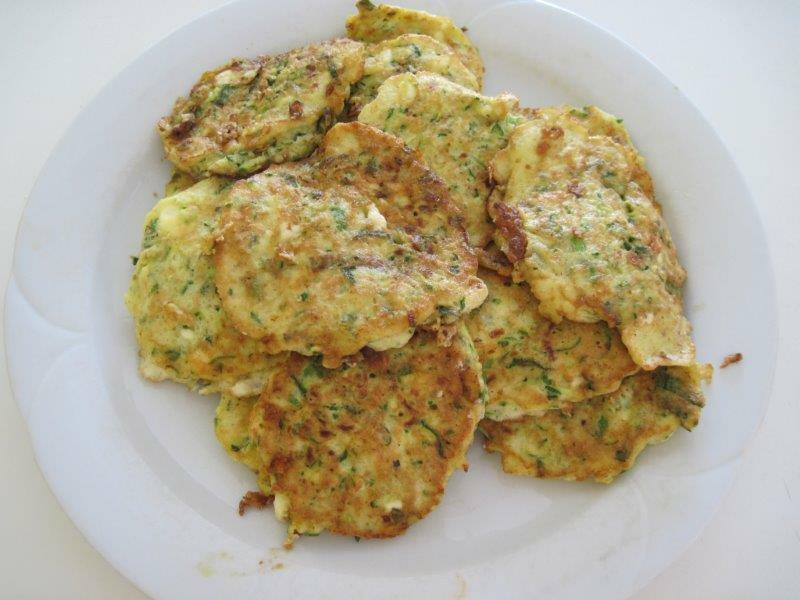 You can eat them as a snack on their own, have them as a side dish with meat or make them the main part of a light meal and just add a salad or something to round it out. I originally found the recipe years ago in a cookbook, which I think may have been from the Moosewood Kitchen (if I’m remembering correctly). Unfortunately I didn’t make a note of the source at the time, so apologies to all concerned if that’s not correct. 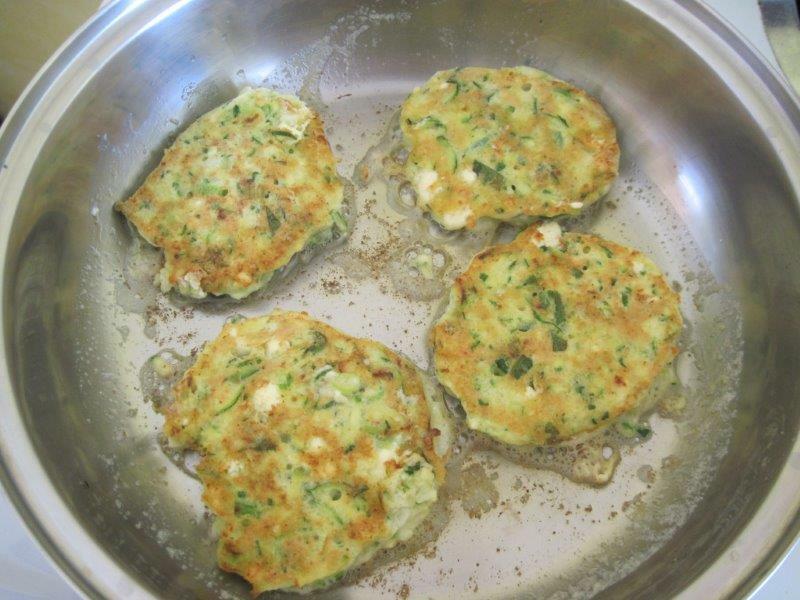 It’s definitely American though as they call the courgettes ‘zucchini’ and they’re ‘pancakes’ rather than ‘crumpets’. I’ve adapted the original recipe only slightly, as well as changed the name to make it more SA-friendly. The only mildly tricky bit is folding in the beaten egg whites, which isn’t really tricky at all although it may sound it if you haven’t done it before. If you’re unsure about that process, I explain in detail on my Tips and Terms page. 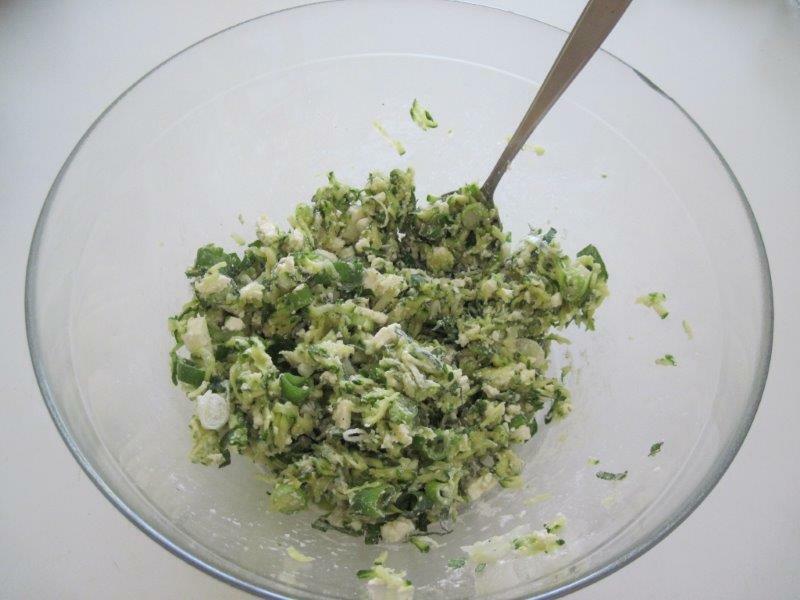 The original recipe also suggests that once you’ve grated the courgettes, you sprinkle them with salt and leave them to stand for about 15 minutes, which is supposed to reduce the moisture slightly. To be honest, I only do that if I have time and can be bothered, and I can’t say I’ve noticed a big difference in the texture. I’ll leave it to you to decide if it’s worth it. The crumpets can be served warm or cold, on their own or with a variety of toppings or sides. Keep any left-overs in the fridge (if there are any! 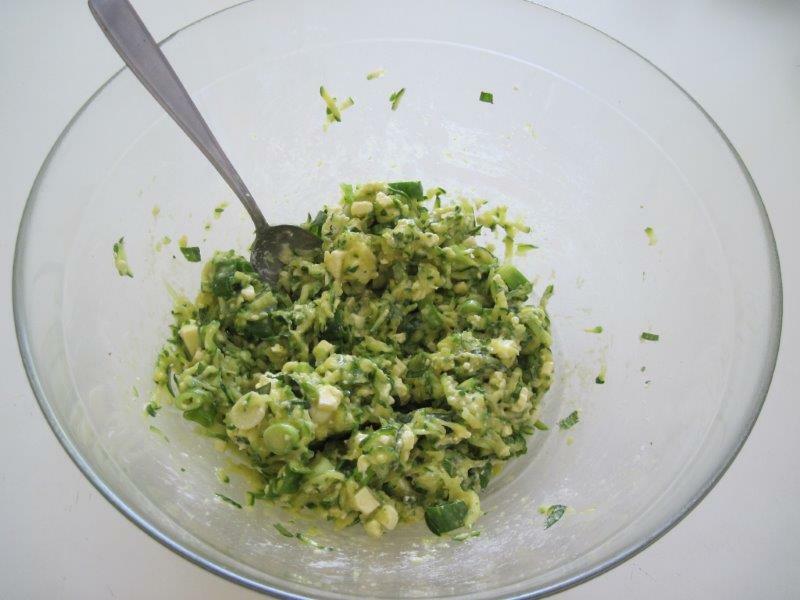 or make extra) – they make a great quick and healthy snack when you’re not that hungry but just feel like munching on something. 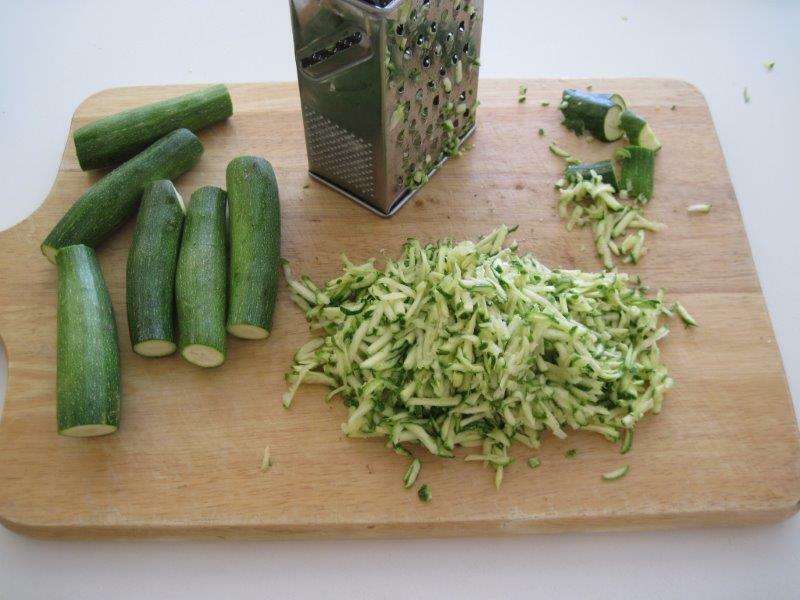 Wash and trim the courgettes, then grate them coarsely. 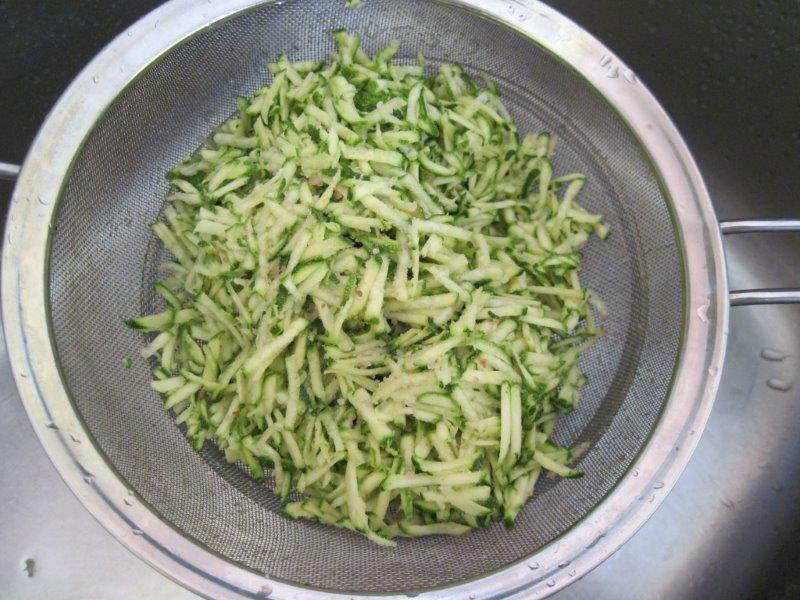 Mix the grated courgettes with 1 pinch of the salt and place in a colander or sieve. Let the courgette stand over the sink for about 15 minutes to drain, then rinse it and squeeze out the excess water with your hands. 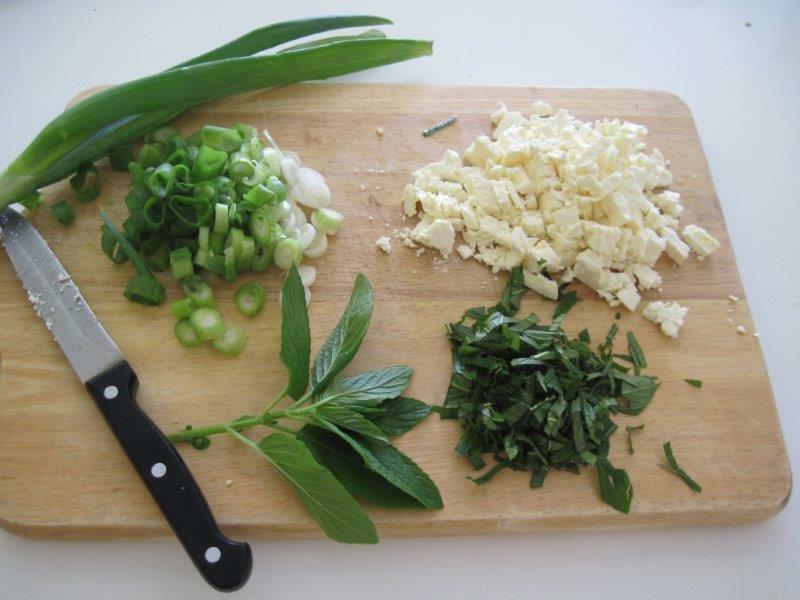 In the meantime, prepare your other ingredients. 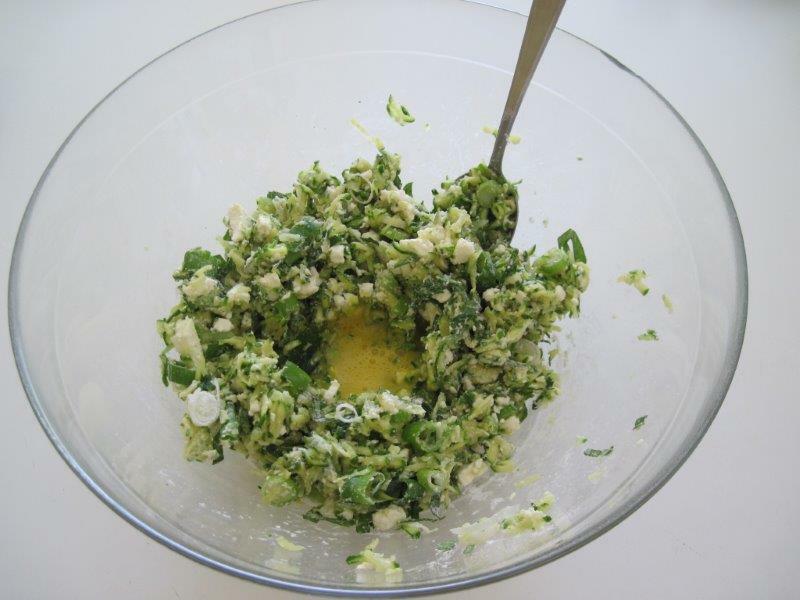 Place the squeezed courgettes in a bowl with the feta, spring onions, mint and flour, and mix it all together. 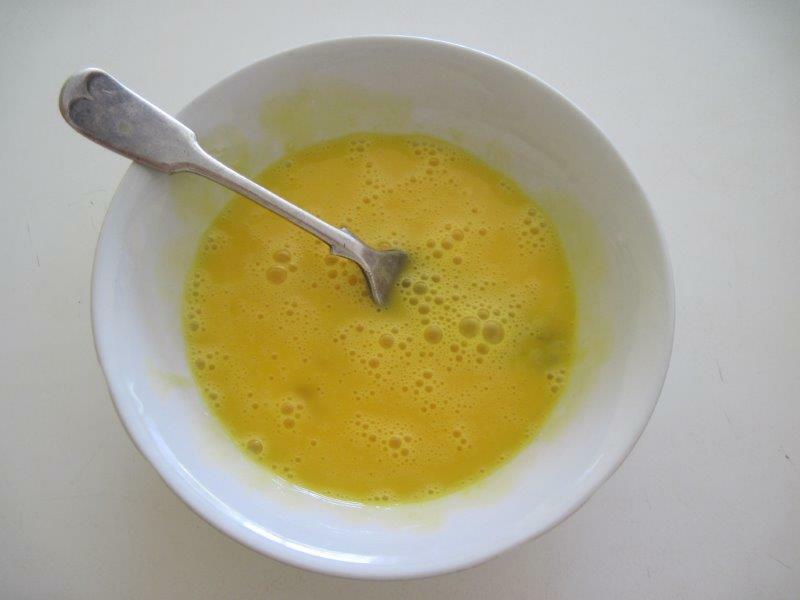 Separate the eggs and whisk the egg yolks with a fork. 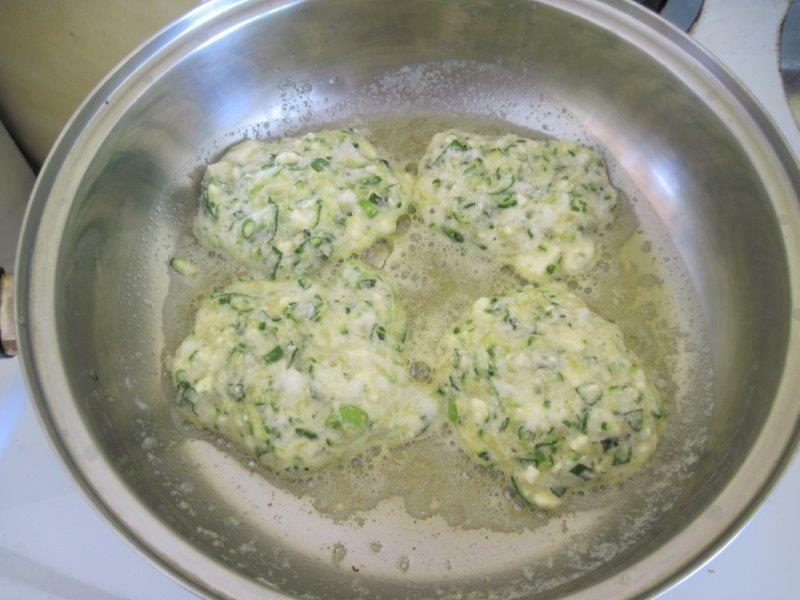 Add the yolks to the courgette mix and stir in. 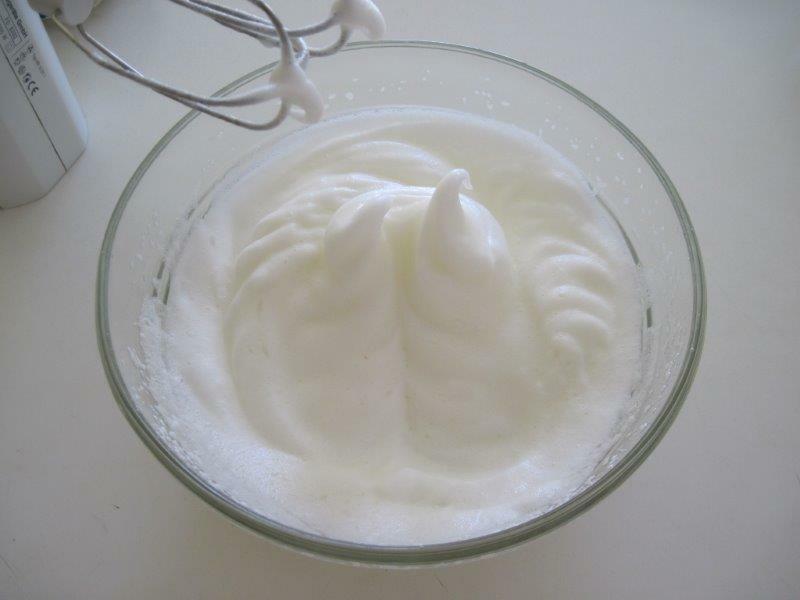 Beat the egg whites with a pinch of salt until they are stiff. 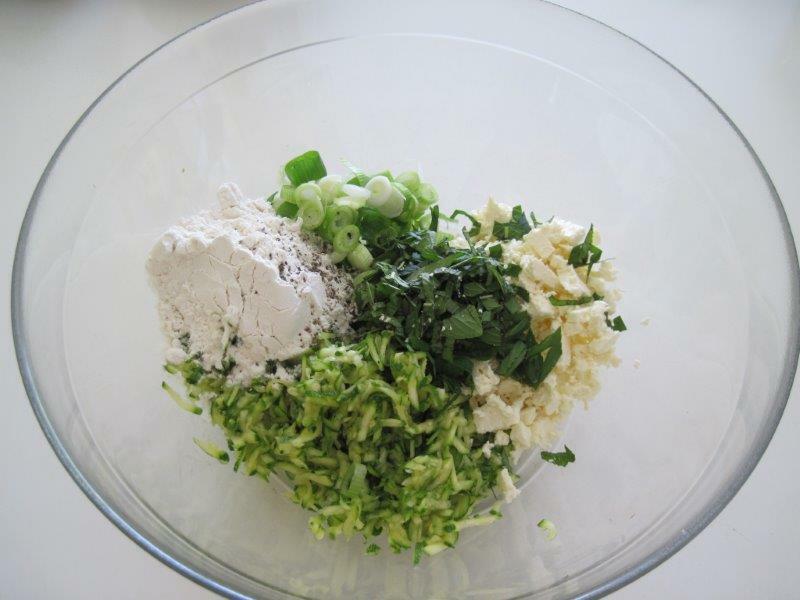 Mix about a tablespoon of the whites into the courgette mixture to lighten it. Then fold in the rest. 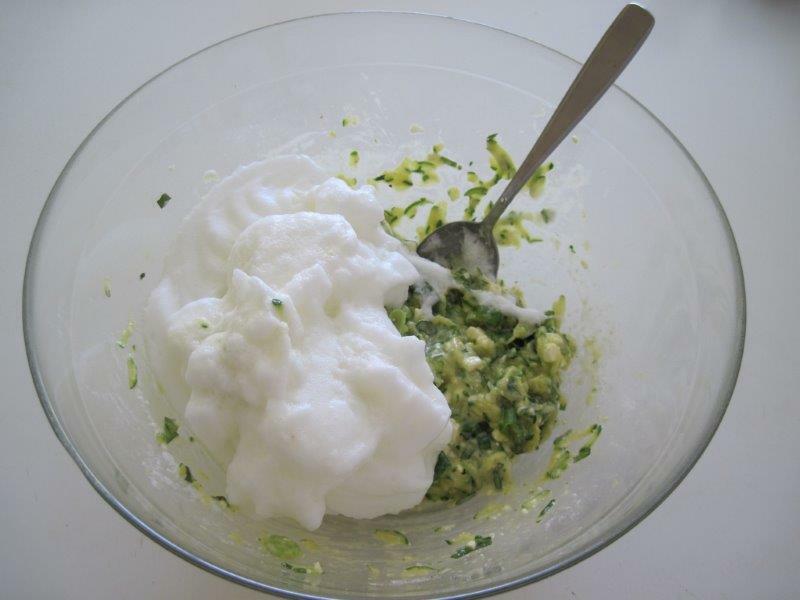 For full instructions on working with egg whites, see here. 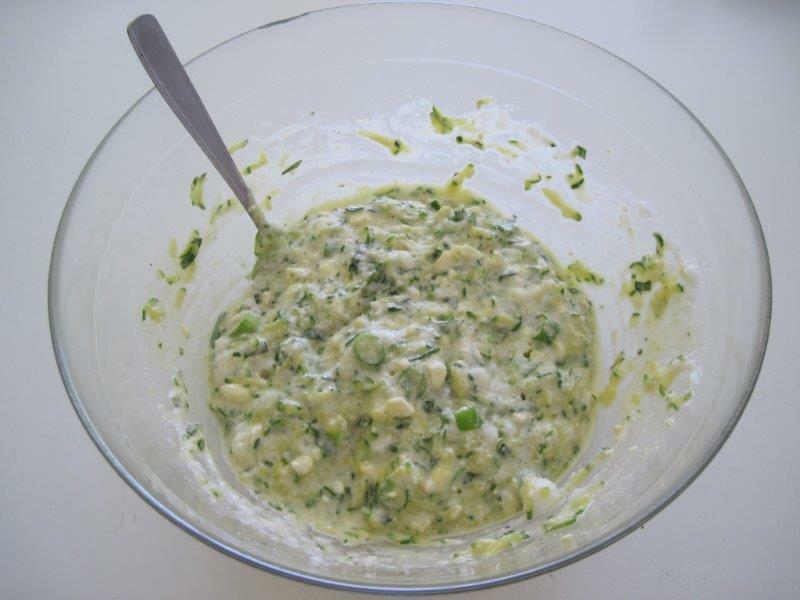 Otherwise simply add the rest of the egg whites on top of the mix and using a metal spoon, gently turn it over into the courgette mix until it’s mostly mixed in. 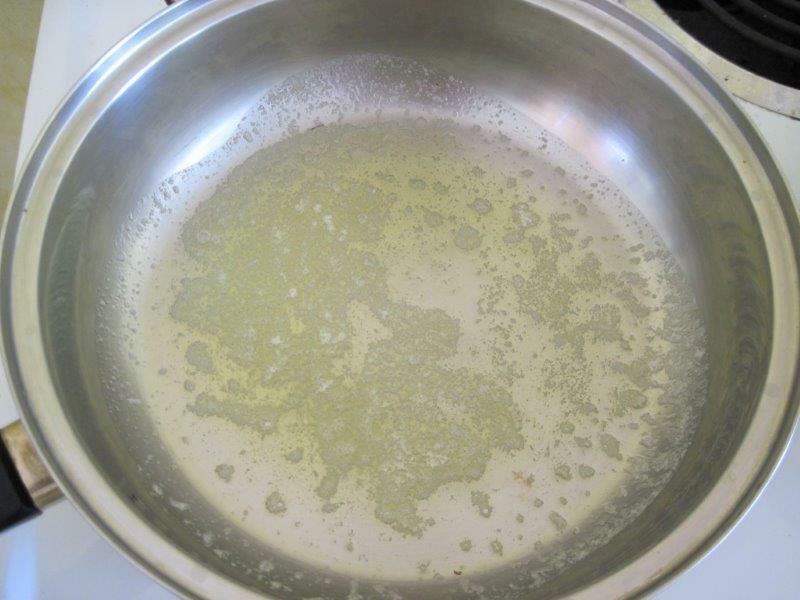 Melt some butter in a large saucepan. Drop spoonfuls of the mix in. Fry until golden brown on one side. Carefully turn each of them over with a spatula and finish off on the other side until it’s also golden brown. If you want to eat them warm, keep them in a warming drawer or low oven while you cook the other batches. Serve warm or cold, on their own, with toppings, or as a side dish to a main meal. 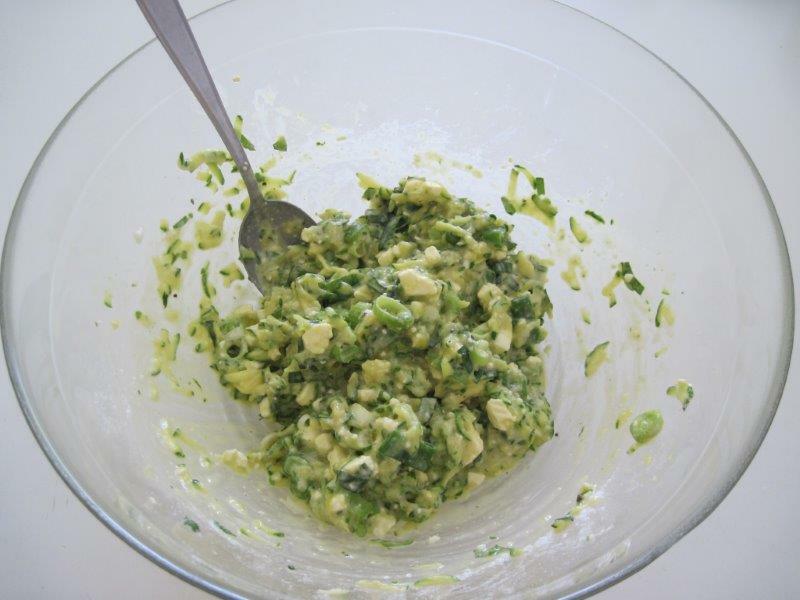 This looks scrumptious – I’ll definitely give it a whirl soon – thanks! Great, I’m sure you’ll love them!